Directions: 10 grams of BCAA 8:1:1 can be taken 2-4 times daily with your preferred amount of water. Total Science BCAA 8:1:1is a blend of three quality essential amino acids PLUS L-Glutamine that cannot be synthesised by the body, Leucine, Isoleucine and Valine in a 8:1:1 ratio. BCAA 8:1:1 is stimulant free - which means it can be taken anytime throughout the day or before and after a workout. 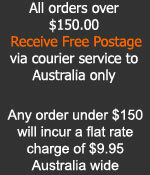 It can help with the growth and maintenance of lean muscle mass whilst assisting with reducing body fat levels. 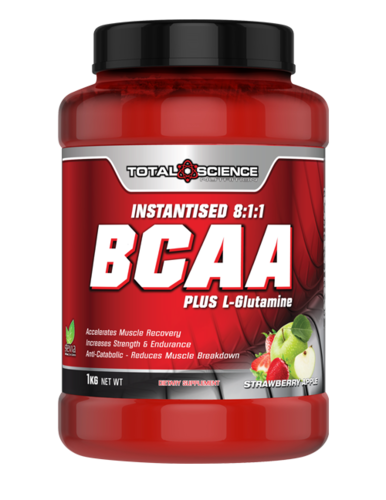 Total Science BCAA 8:1:1 promotes protein synthesis and anabolism, insulin sensitivity, supports recovery and muscular endurance as well as assisting with muscular fatigue and nutrient absorption. It mixes easily and completely with no clumping.